Hansen and colleagues conducted a single-center double-blind, randomized, placebo-controlled trial to compare the effects of placebo and low- and high-dose vitamin D on 1-year changes in total fractional calcium absorption, bone mineral density, sit-to-stand tests, and muscle mass in postmenopausal women with vitamin D insufficiency. Patients were randomized to take 1 year of placebo, 800 IU vitamin D3 a day, or a high-dose vitamin D regimen designed to achieve and maintain 25-hydroxyvitamin (25[OH]D) levels greater than or equal to 30 ng/mL. Calcium absorption increased by 1% in the high-dose vitamin D arm and decreased in the other 2 arms, and Hansen and colleagues found no data to support experts’ recommendations to maintain serum 25(OH)D levels of at least 30 ng/mL in postmenopausal women in order to optimize musculoskeletal health. Moonen and colleagues note that observational studies indicate that lower blood pressure increases the risk of cognitive decline in older age. Older persons are at risk for impaired cerebral autoregulation, and lowering their blood pressure may compromise cerebral blood flow and cognitive function. 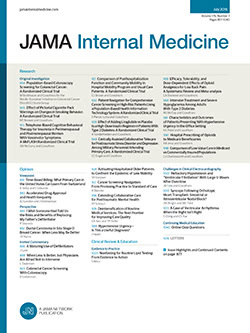 To assess whether discontinuing antihypertensive treatments in older persons with mild cognitive deficits improves cognition, Moonen and colleagues employed the DANTE Study and found that discontinuation of antihypertensive treatment did not improve cognitive, psychological, or general daily functioning at 4-month follow-up. In 2012, Right to Die NL founded the End-of-Life Clinic to review patients’ euthanasia requests that had been rejected by their regular physician. In its first year of operation, the End-of-Life Clinic granted 25% of requests, but most of the time, the End-of-Life Clinic confirmed an applicant’s regular physician’s rejection, particularly when a psychological condition was the reason for the request. Snijdewind and colleagues studied outcomes of requests for euthanasia or physician-assisted suicide received by the clinic and factors associated with granting or rejecting requests. Prescription drug monitoring programs (PDMP) and pill mill laws are among the principal means states use to address prescription drug abuse, yet little high-quality evidence exists regarding their effect. Using a comparative interrupted time-series analysis, Rutkow and colleagues quantified the effect of Florida’s PDMP and pill mill laws on overall and high-risk opioid prescribing and use compared with Georgia. Florida’s PDMP and pill mill laws were associated with modest decreases in opioid prescribing and use. Weiser and colleagues examined differences between Ryan White HIV/AIDS Program (RWHAP)-funded and non–RWHAP-funded facilities using data from the 2009 and 2011 cycles of the Medical Monitoring Project, a national probability sample of HIV-infected adults in care. Patient characteristics, service needs, access to services, and clinical outcomes at RWHAP-funded vs non–RWHAP-funded facilities were compared. The authors found that patients attending RWHAP-funded facilities were more likely to have multiple social determinants of poor health and use services that are associated with improved outcomes. Patients from lower economic strata were more likely to achieve viral suppression if they received care at an RWHAP-funded facility. Without facilities supported by the RWHAP, these patients may have had reduced access to services elsewhere. Although many patients and their families view religion or spirituality as an important consideration near the end of life, little is known about the extent to which such considerations are discussed during intensive care unit goals-of-care conversations. Among 249 audio recorded goals-of-care conversations, Ernecoff and colleagues found that discussion of religious or spiritual considerations occurred in less than 20% of conferences, and clinicians often changed the subject when surrogates discussed religion. To evaluate the potential health effects of various scenarios of increasing promotion and use of e-cigarettes, Kalkhoran and Glantz examined a spectrum of potential e-cigarette health risks to estimate if e-cigarettes would likely improve or harm population health in the United Kingdom. Scenarios that primarily diverted current or future cigarette smokers to e-cigarettes showed a health benefit, whereas scenarios leading to renormalization of cigarette smoking or increased use by youth who never would have smoked cigarettes always showed net health harm. In all other scenarios, population health effects showed net harm if e-cigarettes turn out to be 10% to 30% as dangerous as conventional cigarettes. Increasing costs for newer insulin products affects both patients and insurers. Luo and colleagues found that Medicaid payments for commonly available insulin products have risen dramatically from $2.36 to $4.43 per milliliter in the 1990s to $9.64 to $19.81 per milliliter in 2014, with the increases occurring regardless of formulation, duration of action, and whether or not the product was patented.